Vezzini has developed her own ‘seeds’, creating an interpretation of the natural forms in bone china, drawing on the repetition, texture and geometry. Cristina makes each ceramic seed individually; they are cast and then hand carved into distinctive textures. Close Up encases clusters of these seeds in glass, a central light being diffused through the bone china, highlighting the intricate textures through patterns of light and shadow. The glass ‘pod’ is free blown by Stan Chen, meaning each fluid form is entirely unique. The ‘bubbles’ on the surface of the glass distort and magnify the forms and textures of the ceramic seeds, mirroring the movement of light through air bubbles underwater, or the experience of looking at microorganisms under a microscope. This distortion causes an interaction between the glass and ceramic elements, creating a visual dialogue between the two materials and forms. 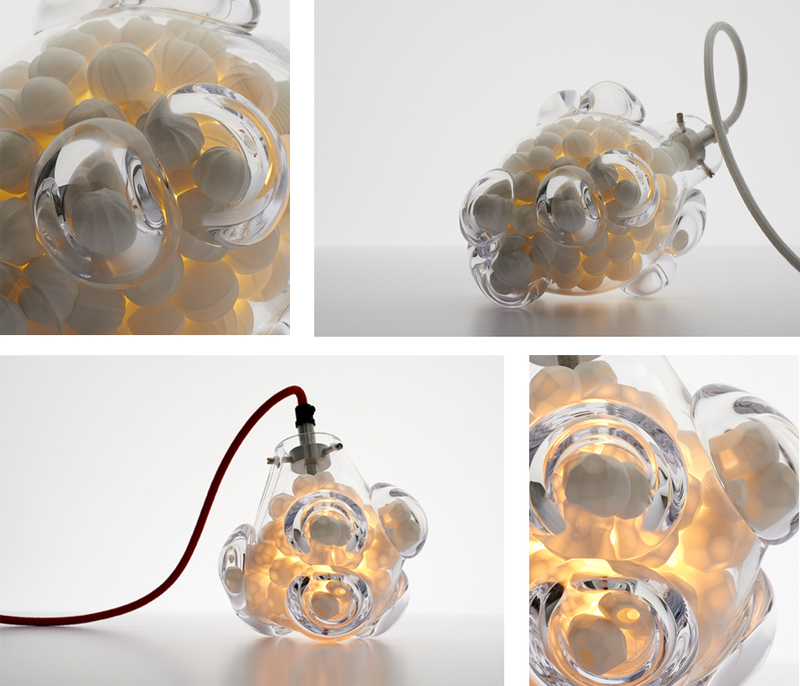 Close up is available as both a pendant light and table light, and with three variations of textured seeds within the glass; geometric, line and holes. 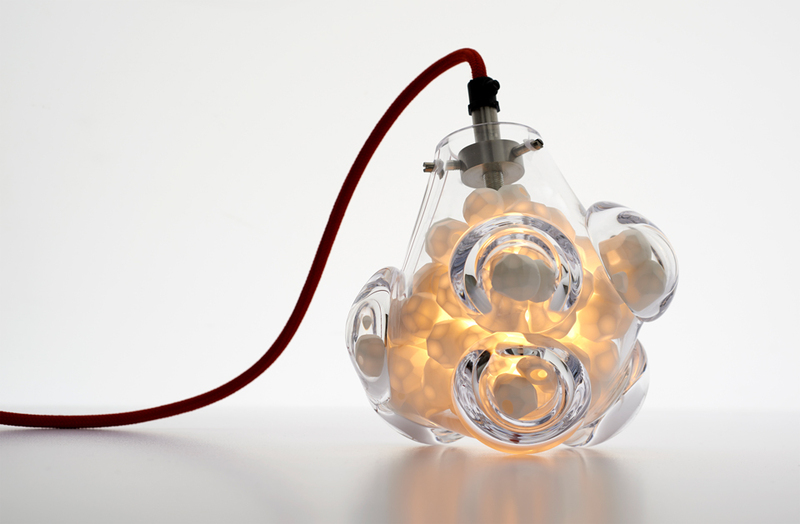 The light can be finished with choice of red, white or grey cable.